The brother of Jeff Bezos’s girlfriend exposed her affair with the Amazon boss , it has been hinted. Lauren Sanchez’s brother, Michael, allegedly supplied the couple’s steamy texts to tabloid magazine, the National Enquirer, according to US reports. 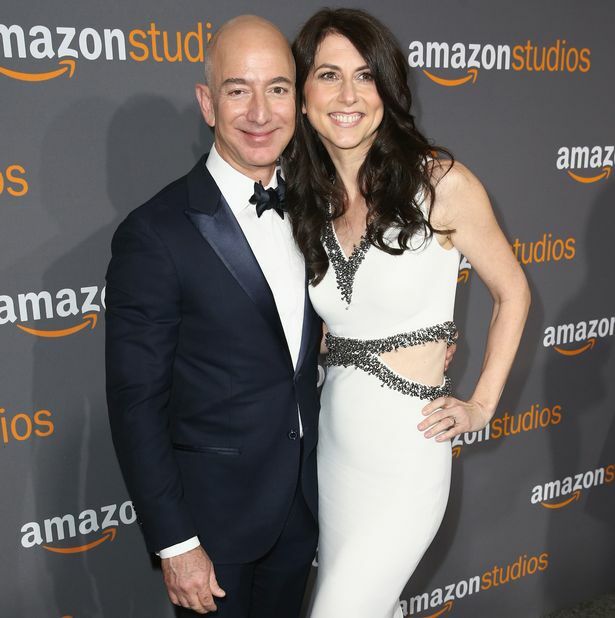 US TV star Ms Sanchez, 49, and billionaire Amazon chief Bezos, 55, who are both married, are said to have had an eight-month fling. Their leaked messages were published last month by the National Enquirer. The magazine’s parent company, AMI, previously refused to identify the source, but a lawyer for the firm has now strongly hinted at Sanchez’s role. Attorney Elkan Abramowitz said: “The story was given to the National Enquirer by a reliable source that had given information to the National Enquirer for seven years prior to this story. Mr Sanchez has repeatedly refused to say whether he supplied the texts. Yesterday, Mr Bezos shut one of his inquires into the leak. The investigator, security consultant Gavin de Becker, said: “Our investigation into who initially provided texts to the National Enquirer, and why it was done is now complete. “We have turned our conclusions over to our attorneys for referral to law enforcement. There are rumours the leak is politically motivated, as Mr Sanchez knows many of US president Donald Trump’s pals. Mr Bezos owns the Washington Post paper, a strong critic of Mr Trump. It is said that Mr Sanchez believed the Enquirer pursued the story with “President Trump’s knowledge and appreciation”. Bezos alleges that the Enquirer tried to extort and blackmail him. He is divorcing his wife, novelist MacKenzie Bezos, 46. Ms Sanchez and talent mogul Patrick Whitesell, 54, have separated.